We’ve already shown you plenty of great shoe storage ideas. If you have limited space, the best way to get your shoes out of sight may be to store them under your bed. These are the best under the bed shoe storage boxes, cases, and organizers on the market right now. We’ll also show how you can make your own for free! This mid-size box is shallow and perfect for storing shoes under your bed. The clear plastic reveals the contents inside so you can easily find what you’re looking for. It’s available in a wide variety of sizes. Please note that you must purchase the lid separately. 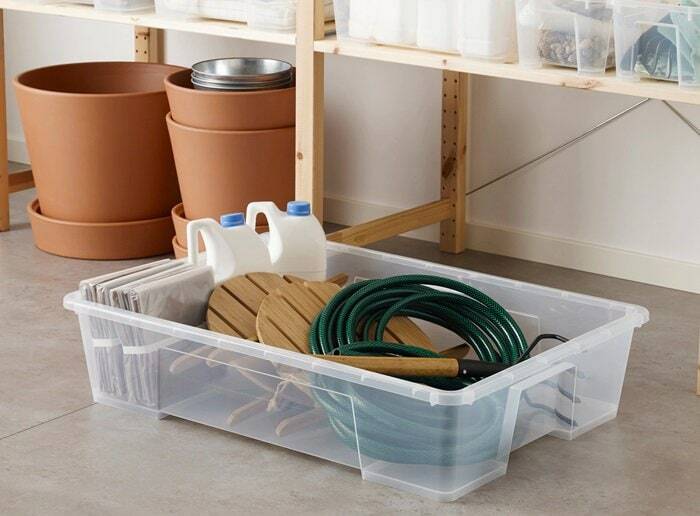 Store your shoes in these under the bed storage boxes that are large enough to hold at least 12 pairs of shoes. The breathable fabric allows air flow to keep your shoes fresh. 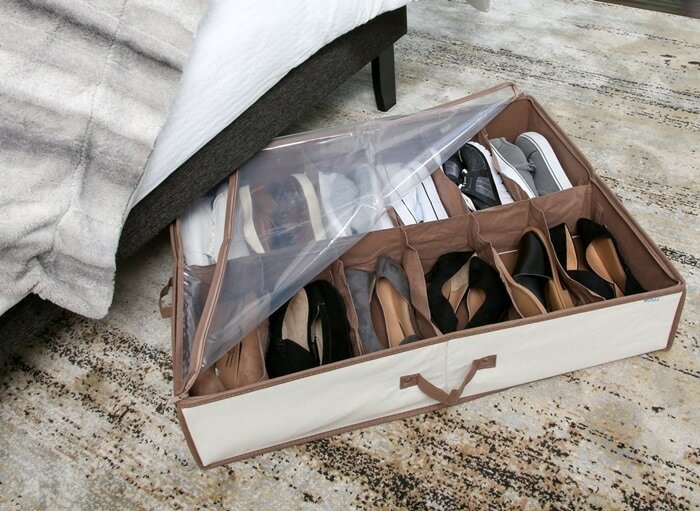 Keep your shoes easily accessible by storing them conveniently beneath the bed in these wheeled storage boxes. If you’d prefer to do it yourself, check out this awesome DYI guide showing how to create your very own under bed storage in just one hour. While it’s free, you have to be a little crafty to make the boxes look pretty.